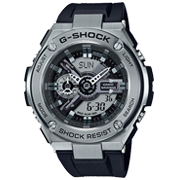 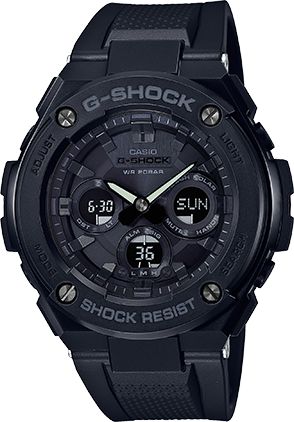 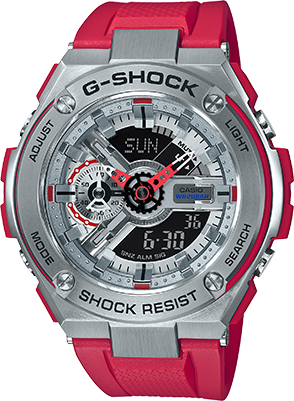 G-SHOCK brings an all new design to the G-STEEL lineup. 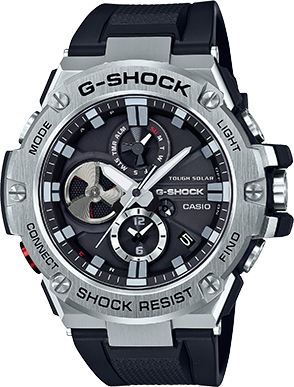 The faces of these analog-digital combination models combine a variety of small parts that create a multi-dimensional gear system look. 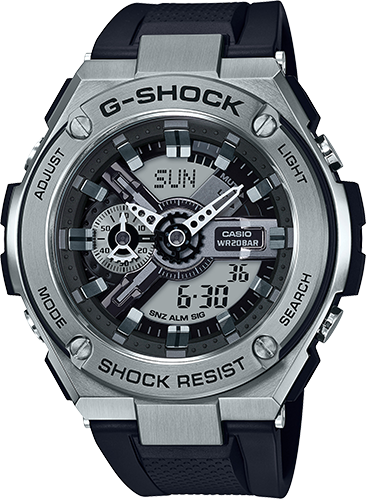 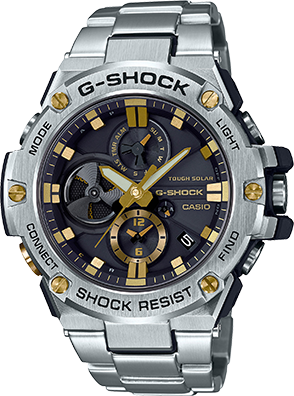 The GST-410 features a solid looking stainless steel bezel and stylish monotone coloring.Features include a stopwatch with a 1,000 hour timing capacity, and ISO764 magnetism resistance that protects the watch from magnetism generated by a phone or computer. 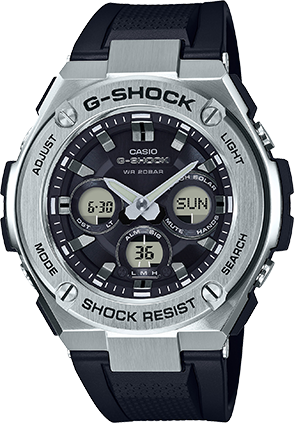 A high-brightness Auto LED Light provides plenty of illumination for easy reading in the dark.